Why everything your business does is branding...and it matters. We work with and talk with a lot of businesses, business owners and entrepreneurs. While many of them have different needs and goals, one thing is pretty consistent. THEY AREN’T SEEING THE BIG PICTURE! By the big picture, I mean they look at their marketing—and more importantly their branding—in a vacuum. They see it as an afterthought, something else to do (if they are actively doing it at all). They see social media or digital marketing as “the thing to do when there is time,” or they think just having a website is good enough. After all, if you build it they will come, right? WRONG. Marketing isn’t about doing one thing. It’s not even about doing a couple of things. It’s about doing all the things. It’s about creating focused, intentional traffic to your website and/or storefront. It’s about having a way to engage your audience, capture emails and build retargeting campaigns. It’s about follow-up phone calls and analysis. It’s about making your branding and marketing a thing you don’t just do when you can, but rather about making it a vital part of your business. Because you will lose in the long run if you don’t. I used to say the definition of communication was everything we do, say or don’t say—whether we mean to or not. That same definition can be used to define branding and marketing. Everything your business does is it’s marketing and branding campaign. EVERYTHING. That includes what you aren’t doing, what you’re doing badly, and what you are doing unintentionally. I see this every day looking though social media accounts and websites. I see branding messages that are off, or are simply missing. I see business that leave off addresses or contact information. I see brick and mortar stores that never mention what city or state they are in. I see social media posts that focus on the completely wrong audience (most of them are only attracting others in their own business field!). For example: authors who market their books using #author or #writer instead of focusing on hashtags their audience will actually like and follow. We call it a “marketing funnel” for a reason. It’s a funnel! You need to have the ability to attract new customers, then funnel (lead) them though your website, then make sure you have ways to reach out to them in the future, then keep connecting with them, then filter out those that aren’t right—all until you have the ones who are purchasing from you. The trouble is we are an instant-gratification society, and these processes take time and tweaking. All too often, I see companies proposing marriage right away instead of dating. Meaning, they ask for a huge commitment (a sale!) without ever taking the time to gain the trust of their customers. But the real value in the marketing and branding process isn’t the process at all. It’s the consistency. Every company I’ve talked to that’s not doing well has this in common. They tried something once, but they didn’t see immediate results, so they didn’t do it again. Again, they are trying to get married before they date. A real, effective marketing strategy can take months if not a year to fully be realized. It takes time to build the social media audience, and it takes time to convert that audience to website traffic, which takes time to build up enough trust to get them to give you an email address. And finally, it takes time for people to be ready to buy. You’ve never seen a car commercial on TV and said, “OK, I have to get that car right now” and gone straight to the dealership that day and driven off. Of course not. You learn about the car first. Then you do some research, maybe shop around for the right model or color. Maybe you contact a couple of dealerships to see who has the best price. As you’re doing these things, you start to see you really like a particular dealership—maybe because of price, maybe because the sales rep took the time to answer all your questions without being pushy, or maybe they just feel like a cleaner, more upscale or honest dealership. Plus you’ve been seeing great ads for them online. You’ve read positive customer reviews, and you’ve gotten some really helpful emails about when the best time to buy is or about a great rebate program. All of that is marketing and branding. It’s no one thing. It’s not just Facebook posts and tweets. It’s a well thought-out and effective machine that generates leads and sales. If you aren’t thinking of how your customer is going to connect with you, you will lose. 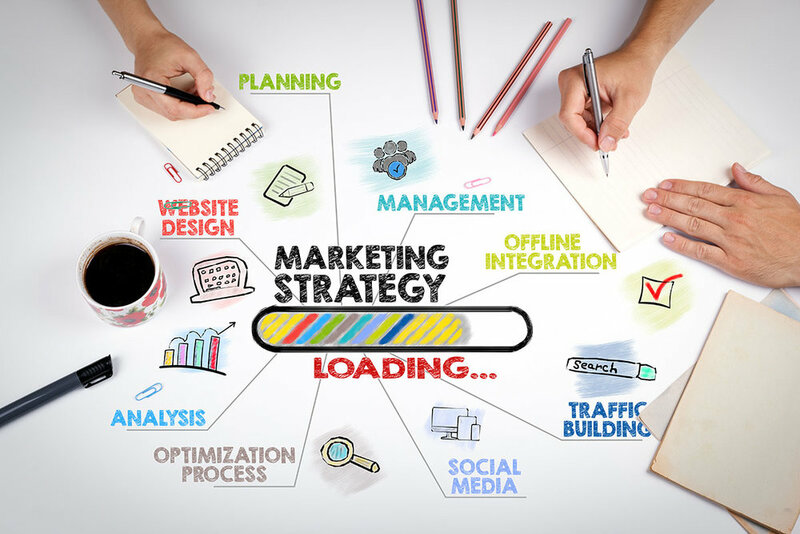 You need a marketing plan, a process, an effective website, effective social media campaigns, effective follow-up marketing including emails and online ads, and you need the commitment to follow through with your plan over a period of time, while keeping the flexibility to analyze the results and make course corrections. If you don’t have a strategy like this, or don’t know how to implement it properly and you feel like you’re just spinning your proverbial wheels, let us know. We’d love to help. I'd like help with my marketing. I had a really eye opening experience with some business owners the other day. I was at a great networking event and met with a bunch of professionals, entrepreneurs and business owners. Probably much like yourself. When I finished the meeting I decided to take a random seven business cards and see what I could discover about their online presence. Not everyone knows the value of an often-overlooked resource for writers: a writing coach. Writing coaches come alongside writers and offer guidelines, discipline, direction, wisdom, and other critical how-tos. Beginners and professionals use them, and those who do typically come away with more efficient—and better quality—work than those who don’t. Think about athletes: Even the most skilled gymnast or track star wouldn’t think about training for the Olympics without a coach in their corner, cheering, guiding, correcting, encouraging, and prodding them on to be the best they can possibly be.